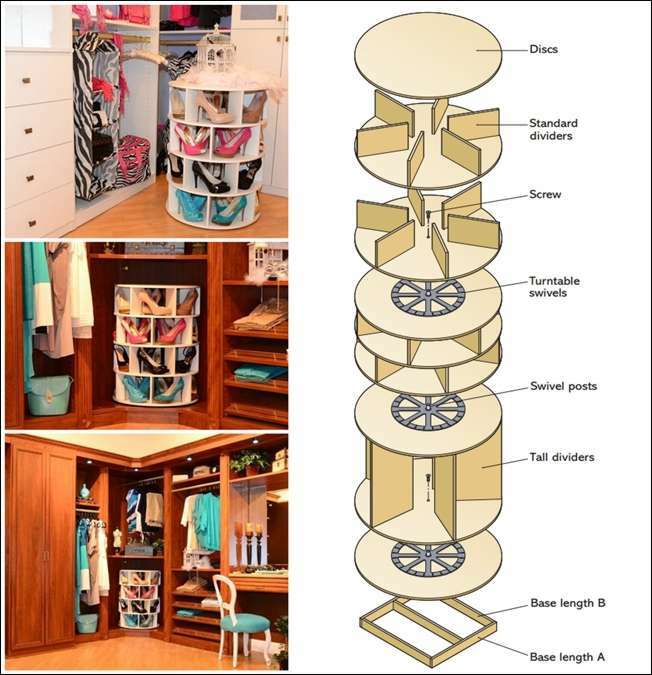 If you need an ultimate solution for shoe storage then nothing can be super chic than this diy project. 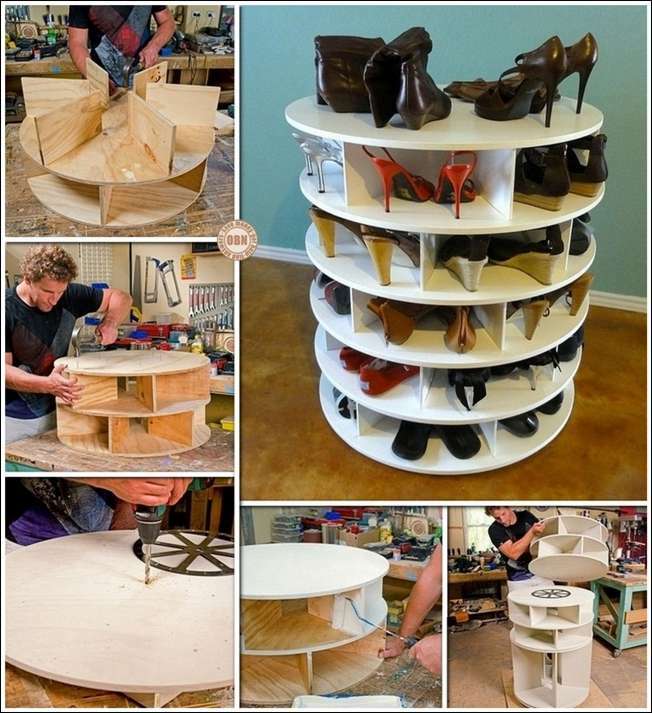 To make this lazy susan shoe storage you will require 9 round discs of plywood, standard and tall divider slabs of plywood( to divide 5 discs into sectors). You have to fix the standard dividers on 4 discs and tall dividers on 1 disc. Then join every two discs with standard dividers topped with an upper disc. You have to make two such units using all the 4 discs with standard dividers. The one disc with tall dividers will be topped with a disc and this unit will be the base unit. Then make a square wood frame as shown in the diagram. Fix a disc over it using wood glue and nails. Then add a turntable swivel to it and attach the base unit with a screw. Then again with a second turntable swivel attach the second unit to the base unit. In the same way attach the top unit with a swivel to the second unit. For further details about this project visit Better Homes and Gardens.